The terracotta tile roofing on your home needs restoration and maintenance over time to retain its perfection as well as safety. Terracotta tile roofing offers a luxurious and elegant look and to some extent keeps the temperature of the room cool in summer and warm in winter, but over time it loses its glaze, and individual tiles crack. The Terracotta tile roof restoration experts at Vivify Roofing can take care of all aspects and restore terracotta tile roofing back to its perfection. Process clay is used to make Terracotta tiles, The tiles are very robust and sturdy, but over time the tile can become brittle and cracks due to a variety of reasons like weathering, hail storm damage, a tree branch might fall from an adjacent tree, etc. 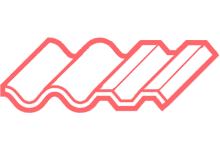 As terracotta tiles are individual blocks of tiles placed next to each other, the crack on a single tile doesn’t affect its immediate neighbour. This is why sometimes only tiles with cracks and breaks need to be replaced and not the entire roofing system. 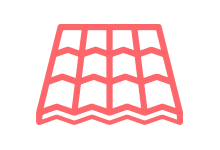 In some scenarios, all of the roof tiles have become far too brittle, and the whole roof will need to new tiles. Breakage apart from external factors can be avoided by periodic maintenance. 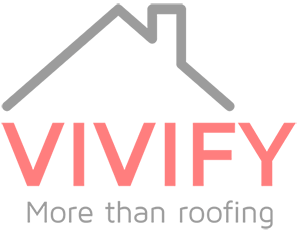 Experienced professionals in Vivify roofing are powered by best expertise that can not only replace broken terracotta tiles but install the new tiles with precision and can also clean and condition the existing tiles to enhance its longevity. The roof surfaces meet at several edge lines. Ridge capping is used to cover the space in-between the two surfaces. The ridge cap tiles are of a slightly triangular shape. The Ridge capping is made from the same material as the rest of the roof tiles. A terracotta roof will use terracotta ridge capping. 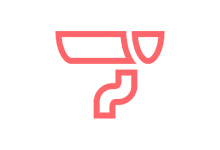 Their primary task is to prevent leaks by blocking any rainwater from getting into the roof cavity. 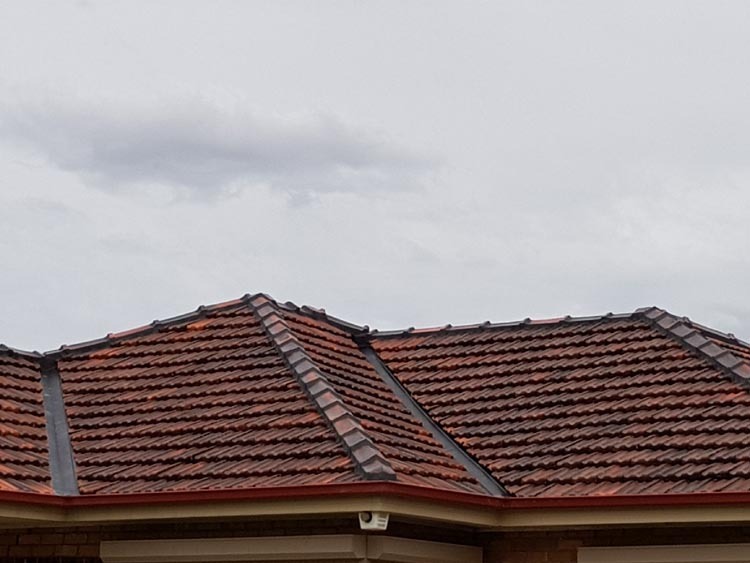 Accumulated water can severely damage the inner structure of your roof.Ridge caps are held to the terracotta tiles that cover the roof surface with a coating of mortar or flexible bedding compound. This mortar loses its grip over time and might be cracked that in turn will compromise the intactness of the ridge capping and water will seep through it. You can read more about ridge cap restoration here. Valleys and flashings are placed at the junction line of two separate surfaces of the terracotta roof. Rust, moisture, dirt and dust, broken branches are some of the reasons behind a shortened valleys and flashings life; otherwise, it should have a lifetime of around twenty years. Periodic cleaning, maintenance, repair and necessary replacements can ensure the safety standard of the valleys and flashings; we also install high-quality COLORBOND valleys. A typical Terracotta roof in Melbourne before a restoration, it is covered in moss, lichen and stains. The same Terracotta roof pressure cleaned, fully restored and sealed / re-glazed. 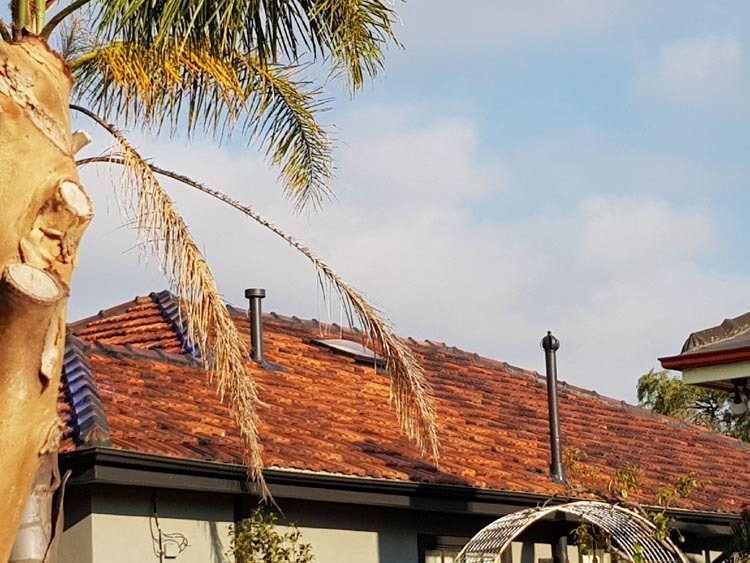 Terracotta tile roofing comes in a colourful and shiny state at the time of installation, but over time it loses its beauty, and one of the primary reasons for a dull appearance apart from the typical dust is Moss build up. Disconnecting the water tank if you have one. This ensures any of the cleaning chemicals don’t contaminate the primary water storage of your house. After allowing the chemicals to do its job, our professionals will clean the entire roof with a high-pressure water jet. 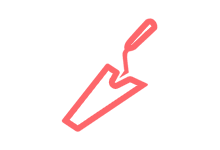 Sealing your roof with a terracotta roof glaze can be implemented on un-glazed tiles. Terracotta tiles themselves are waterproof, and these properties can be further increased by applying a glaze. Roofs need to be adequately maintained so that the sealer/glaze can retain its waterproof quality. Vivify roofing uses a high-quality solution that helps to prevent waters, oils and other fluid to pass through the surface into the pores and prevents the terracotta from getting damaged. The glazing solution also allows any fluid in the pores to evaporate so that minimal or no fluid accumulation is ensured. Glazing terracotta tiles always helps to extend the longevity of the tiles. Vivify roofing has years of experience in the roofing industry and use state of the art technology to properly carry out every project. 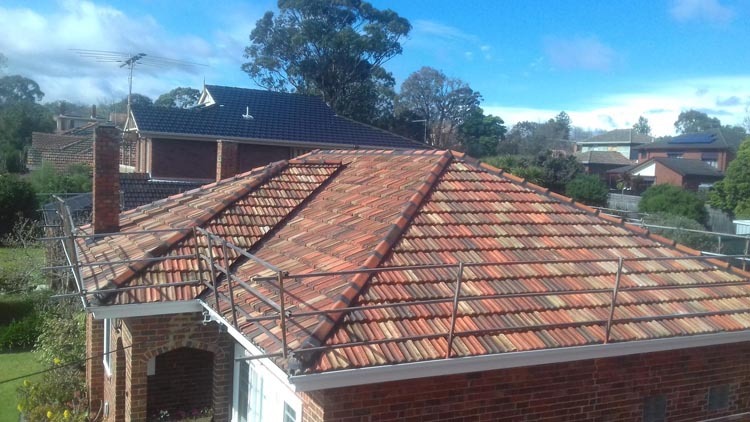 We provide Terracotta Tile Roof restorations to the eastern suburbs of Victoria from Diamond Creek, Greensborough, Camberwell, Ringwood down to Frankston, Mornington, Sorrento and Portsea. Call Vivify roofing today on 1300 475 097 to have the best service in the roof restoration industry. Call Today For A Terracotta Restoration Quote! On average a terracotta roof can last anywhere between 50 to 75 years with the right maintenance. Read more on the lifespan of terracotta roof here. A common question our roofers are asked is Can we paint a terracotta roof? The short answer is no. 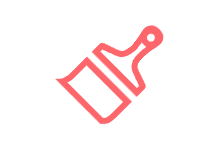 Trying to paint a Glazed terracotta roof is like trying to paint glass, and the paint will not adhere. Unglazed tiles are like sponges and even if painted they will soak up water and the paint will flake off. Can unglazed terracotta be glazed? Yes, unglazed terracotta roofs can have a special clear coat glaze applied. There are options for matte, satin and high gloss glazing depending on your preference. Glazing will also further protect your roof and increase its lifespan. Glazed terracotta roofs are also more resistant against lichen and moss. When should a terracotta roof be restored? An easy way to tell if your terracotta roof is in need of a restoration is to see if there are any cracked or broken tiles. You can also check for sagging, mold, and any signs of corrosion. Another common sign is your roof frequently leaks when it rains. How long does a terracotta roof restoration take? 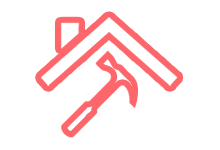 The average roof restoration on a medium sized home will take roughly 5 working days to complete including the application of safety rails. Larger roofs can take up to 10 working days. How long is a terracotta roof restoration warranty? Vivify roofing offer a 10-year warranty on all terracotta roof restorations.